Brian Baker is the managing partner of First User Group, one of the most influential Product Strategy and Design firms in the world today. Mr. Baker has won several industry awards, including the coveted ‘Best of CES,’ ‘Red Dot,’ and ‘Best of’ awards from Forbes, Yahoo, and Wired magazines. He also acts as a judge for the CES Innovation Awards and evangelizes great products in talks across the globe. His clients include Toyota, Sony, IKEA, Home Depot and other industry leaders. More information. Steve Baker is a founder of successful businesses, a corporate executive and business advisor. With proven leadership in every phase of business cycle from startup to exit, Steve has the unique ability to generate immediate and sustainable improvements in business. He directs strategic marketing and business development and has taken companies from startup to millions of dollars in revenues in such diverse industries as international travel, financial software, casinos, manufacturing, cosmetic surgery, and ergonomics. Always the entrepreneur and Startup Junkie, Steve is a well known speaker and author of the award winning book PUSHING WATER UPHILL With A Rake. Paul is Professor Emeritus (euphemism for “retired”) at the Daniels College of Business, University of Denver, where he taught for 14 years and served as the first chairperson of the Business Information & Analytics Department. Prior to Daniels, Paul spent almost 30 years in management positions in the telecom industry with Bell Labs, Bellcore, U S WEST Advanced Technologies, 3Com, Telecommunications Research Associates, and Netbeam, a startup providing wireless Internet access. Paul’s efforts have focused on turning technology inventions into business innovations of significant value shared by producers, consumers, and their communities. Paul holds a BS in Physics from Saint Louis University and a PhD in Solid State Physics from the University of Kansas. He has taken as well as taught numerous courses on managing technology for business value. Michael Cushman is a Senior Fellow at the DaVinci Institute who loves helping others create the future. Over a 30 year career, as an executive, management consultant and thought leader, Michael has proven results in leading operational excellence. Michael’s expertise is in human development, advanced learning technologies and techniques, as well as business effectiveness. He specializes in creating award-winning products, successfully introducing profitable technology and process improvements at over 50 companies, including Fortune 500 companies such as Verizon, BT, Revlon, and Chevron. In his role as an executive, Michael served in leadership positions at several startup companies on their way to market success. Michael is the President of Key Change Institute. He often speaks on the future of learning, career management, nonverbal communications, and advanced change techniques. He is a sought out expert and has appeared as a spokesperson on local and national TV. Karl Dakin is a Senior Fellow for the Institute and President of DaVinci Quest. Previously he was the Principal at Karl Dakin LLC, a boutique law firm specializing in angel investment and business incubation. In this capacity he provided legal representation for emerging businesses, educational institutions, trade organizations and professional associations in a variety of legal matters including licensing, contracts, employment, intellectual property, litigation and dispute resolution on state, national and international transactions. Mr. Dakin is the co-author of book: Technology Transfer: Financing and Commercializing the High Tech Product or Service–From Research to Roll Out. Published in 1991 by Probus Publishing Ltd., the book became widely adopted as a primer on the subject of technology transfer. From 1995 through 1997, Mr. Dakin wrote the SoftLaw column for the IEEE Journal on Software. Within the last five years, Mr. Dakin has participated in raising over $15 million in angel funding and grants for several small businesses and non-profit. Cheryl Hennesey is a Senior Fellow at the DaVinci Institute. A leader in telecommunications field, Cheryl’s 20-plus years of industry experience encompass everything from end-to-end product development to operational strategy and senior leadership development. Known as an influencer, Cheryl’s professional experience allows her to see creative solutions and opportunities. In her current role as a Senior Sales Engineer at Comcast Business and in prior telecom positions, she has filled roles from engineering, product development, testing and troubleshooting to training and strategic development. Recently, she has taken on projects to consult with and develop customized networking solutions for businesses ranging from small law offices to large health conglomerates. Cheryl received her Master’s Degree in Applied Mathematics from the University of Colorado at Boulder. 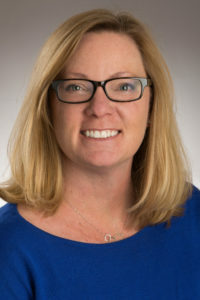 Her experience includes consulting, simulation modeling, decision analysis, financial analysis, network planning, data collection and analysis, team leadership, and change management. An avid music enthusiast, Cheryl enjoys the many connections of mathematics and science that can be found in music and art. She believes that cultivating a continuing curiosity in fields like mathematics and science can uplift and empower others in yet unseen ways. Daryl Oster is founder and CEO of et3.com Inc. He studied Mechanical Engineering at WWU in Washington. His experience includes: marine, aeronautical, and mechanical design and, certification. He was a stockbroker and held a NASD principal license. He served a term on Crystal River City Council, and represented municipal interests for his county on a five county regional planning board. The company Oster founded in 1999 has grown to include over 110 experts, companies, and institutions in 9 countries. The varied skills and technologies represented in this open and, growing consortium have resulted in an environmentally responsible plan and technology to solve the global dilemmas of oil based transportation. Is he an inventor, an industrial designer, a visionary or an encyclopedia of material and processes? Jeff is known to his team and his clients as all of the above. When asked about his accomplishments he says “Solving life’s most unusual challenges is a blast!” This is 39 years after he started down his career path in design and engineering. 31 years leading Samson Design and 8 years corporate R&D experience in high speed transit vehicles and security systems. Somehow he sandwiched in teaching at five universities. First and foremost, Jeff is the founder and president of Samson Design Associates Inc., an independent design and engineering firm in the Rocky Mountain Region that focuses on high impact innovation. Since 1984, Samson Design has accelerated the creation of innovative business solutions and product systems including electro surgical and imaging equipment, automated pharmaceutical systems, alternative fuel power generation and high technology systems for commercial production. Jeff currently serves as a board member of CSU’s Bioscience & Medical Engineering School. He served as Vice President of IDSA, chairman of the board for Metropolitan State University’s Design program, and Art Institute of Colorado’s Design program. Jeff is a DaVinci Senior Fellow, a program that recognizes professionals who think in the future. He is an adviser, speaker and consultant to universities and corporations from General Electric to Colorado Bioscience Association, speaking on the dynamics and drivers of innovation drawn from his hands on experience and insights. Jeff has won a government salute award, 3 international awards, national design innovation awards, and a Medical Design Excellence Award. Jeff graduated from Cranbrook Academy of Art and completed the Executive Design Leadership program at Harvard University. Allison Taylor is a Business Coach for Entrepreneurs with 27 years of professional experience in Marketing & Sales. As a serial entrepreneur, she has a keen understanding of what it takes to create a business and grow it into a successful enterprise. She helps her clients create referral-only businesses. Allison spent a decade in market research and held numerous VP positions in both marketing and sales before becoming a consultant in 2001. Allison holds a degree in Psychology from Vanderbilt University and brings the science of Human Behavior to the marketing process. She specializes in branding, messaging and referral marketing programs, and often speaks publicly on these topics. Her customer-centric approach helps to create compelling marketing programs that impact the bottom line. Allison has worked with both entrepreneurs and larger businesses (including many tech and Internet start-ups), non-profits and franchises in the U.S. and Canada. She is versed in many industries including cable/wireless/telephony, business-to-business services, healthcare, education, consumer durables, low-tech manufacturing, Internet delivered services and even roofing. Allison has two college-aged boys and enjoys mentoring entrepreneurs. She lives in Denver, Colorado, and can be reached at 303-956-2280 and www.allison-taylor.com. To book Allison, contact Micale Medina at 803-666-4133. As a storyteller, Dave is a master of the written word, video, public speaking, and teaching. Every keynote brings an unusual mix of humor, fascinating insights, keen observations, and entertainment. You can find him online at Ask Dave Taylor, The Attachment Parenting Blog and Dave On Film. Bert Vermeulen has been working with the DaVinci Institute since 2004. He currently teaches engineering at Colorado State University, designs bicycles, and writes patents for clients. Previous careers include (a) product strategy management for Hewlett Packard and (b) helping to build, sell, and buy a variety of businesses. He has a master’s degree in Mechanical Engineering from MIT and an MBA from Stanford University. In the ‘90’s, she coached and managed more than 200 of the best professional trainers around the world for CareerTrack , Inc.. Since 1999, as the principal in The Impact Institute, she has facilitated Communication topics that make the difference for performance on public and private sector teams. Some of Christie’s public sector clients are the USAF, Department of Interior, El Monte and Albuquerque school districts, the National Business Center, and several city and county governments. Her corporate clients include DISH Network, IHS, TriZetto, Johnson & Johnson, SUN, TW Telecom, and AT&T. Among her non-profit clients are Goodwill, the National Scholarship Provider’s Association, the National Education Procurement Association, the Boettcher Foundation and Americorps. Christie is past president of ATD-RMC, became part of the National Advisors for Chapters (NAC) for ATD in 2008, served 3 years and was elected NAC Chair for 2011-2012 by her peers. She served on the National Board of Directors for ATD (2011-2012). She has served as a judge for the Best Practices Awards for ATD for years and spoke in Singapore at the ATD-STADA conference, as well as sessions at ATD-ICE. She has been part of the ICE PAC since 2013, and is chair for ICE 2016 in her hometown of Denver, Colorado. She is past president for NSA (National Speaker’s Association) Colorado, and in 2016 is chair for their Winter Conference in Austin, TX. Christie regularly volunteers for the Tennyson Center for Abused Children, where she judges a speech contest with her NSA colleagues every year. She also conducts mock-scholarship interviews for inner-city youth in partnership with Goodwill and the Denver Chamber of Commerce, and at Strive Charter school as part of her commitment to the community. She is a leader on and off the platform.